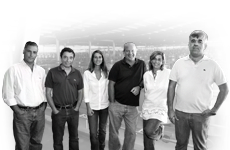 JMF Red is produced from the Castelão and Aragonez grape varieties. With vibrant fruity aromas, it has a touch of oak character, making it ideal to share with family and friends in joyful and relaxed moments. Balanced, soft but present tannins. Serve at a temperature of 12ºC and consume at 14ºC with red or white meat. Under the guidance of Domingos Soares Franco - the first Portuguese winemaker to graduate from the recognized University of Davis in California - a team of hand-picked winemakers responsible for undertaking awide range of research, studies,experiments and innovation that make José Maria da Fonseca a pioneer in much of what is done in terms of winemaking in Portugal and in the world. This is a job that starts in the vineyard, covers the entire production process and ends in the bottled wine made available to the consumer.